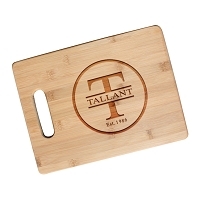 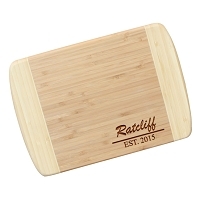 Our professional quality paddle cutting board is crafted from eco-friendly, naturally durable bamboo wood. 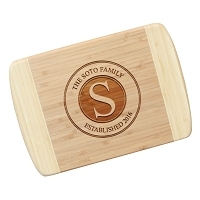 We will laser engrave with precision, any name, word or short phrase, bordered with bold lines above and below. 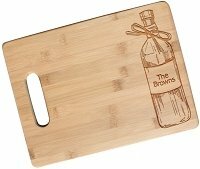 Gift this traditionally classic paddle board as a housewarming gift, friendship gift, or wedding present for the couple that has everything. 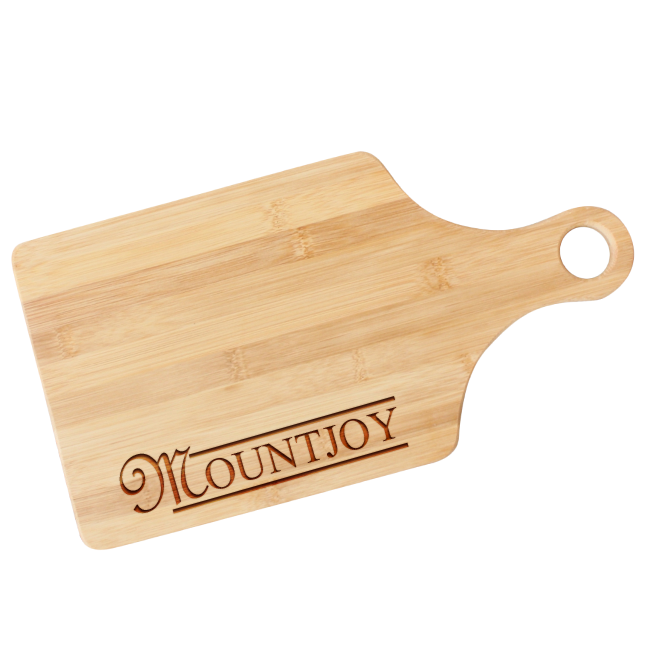 This wood cutting board is 13.7" x 7" x .5" including the handle and looks sharp in any kitchen. 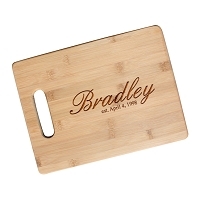 ~ Please note color variations are natural to bamboo which can cause variations in the engraving color.